Police say Caleb Cherry went to far on massage table. 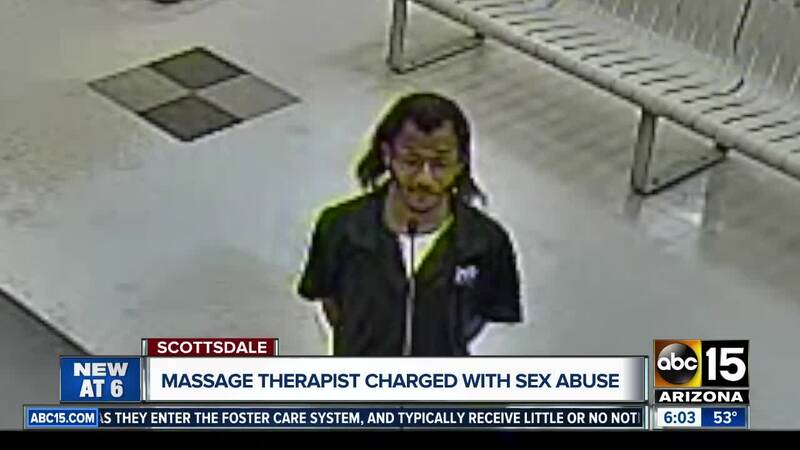 SCOTTSDALE, AZ — A Massage Envy worker has been arrested, accused of touching a customer inappropriately during a massage. Scottsdale police say 36-year-old Caleb Cherry was giving the woman a massage at the Massage Envy location near Thomas and Scottsdale roads on February 15. The woman says that while she was lying on her back during the massage, Cherry moved his hand under a sheet covering her private parts and inappropriately touched her. The victim says she asked Cherry to stop, and asked him to leave the room. Earlier in the massage, the victim also says the blanket fell and revealed part of her chest, but she believed it was an accident. After asking Cherry to stop, he left the room and the woman called the front desk asking to speak to someone. Police were called and Cherry was taken into custody. According to police, Cherry originally denied touching the woman inappropriately, but later admitted that he did it out of a “spur of the moment” decision. Cherry allegedly said he knew he was going to get in trouble and most likely lose his license. He also said he did not want the woman to think negatively of the company because of his actions. Cherry has been booked on one count of sexual abuse. ABC15 reached out to Massage Envy for comment but has not gotten a response.